« Scrub them toilets, boss. This was a Magic Prerelease weekend. Even though I no longer spend a ton of time behind the counter, I was at the store all weekend, and it was full of people. I came home exhausted and sick of smiling and being switched-on socially, so I decided to fix some electronics. 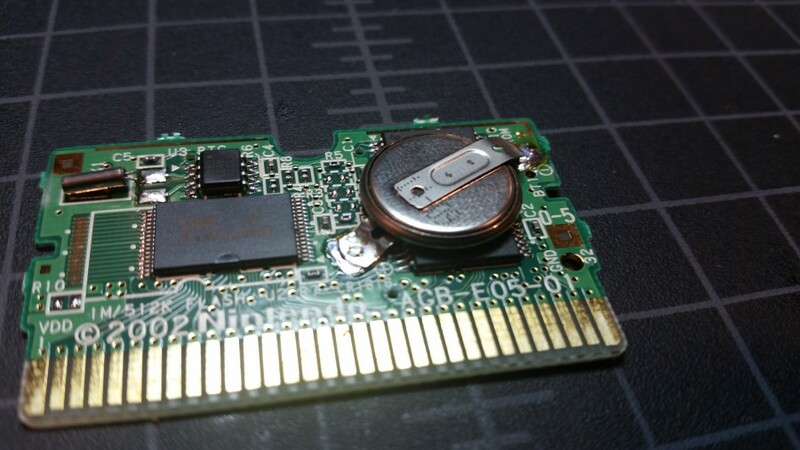 We’ll start off with an easy one: A Pokemon battery replacement. We used to do these by prying the battery off of the tabs, then electrical-taping a new battery in place, counting on the tight fit to maintain electrical contact. Since I set up my workshop at home, I’ve found that I enjoy doing it properly. This is probably not worth my time, but I feel better about it after. Are lithium cells still susceptible to overheating and exploding when they’re fully discharged? I have no idea. Let’s not find out, okay? 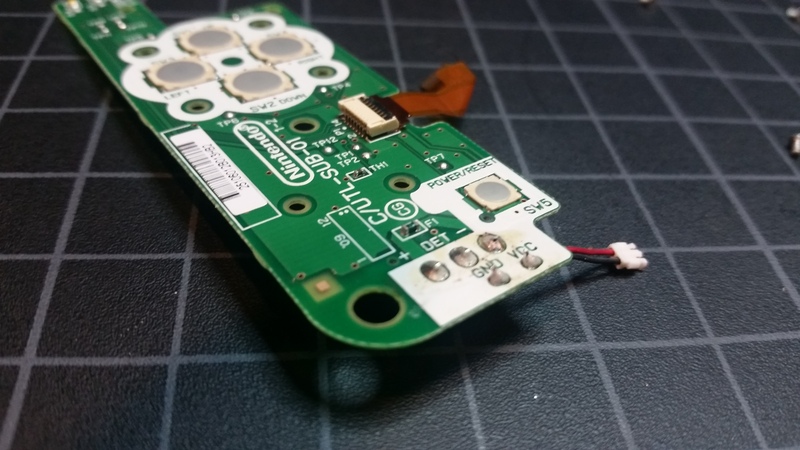 Heat up the contacts until the solder flows, then lift the battery off, one side at a time. 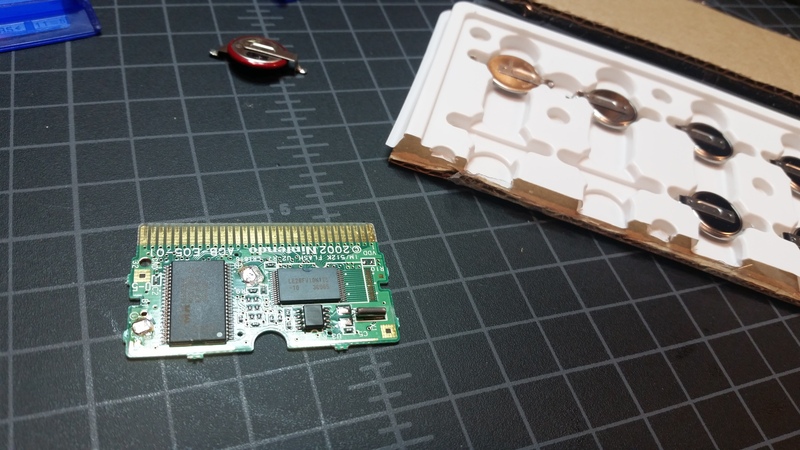 Remove the excess solder using a desoldering braid (unless you’re a slob) and solder the tabs onto the contacts. 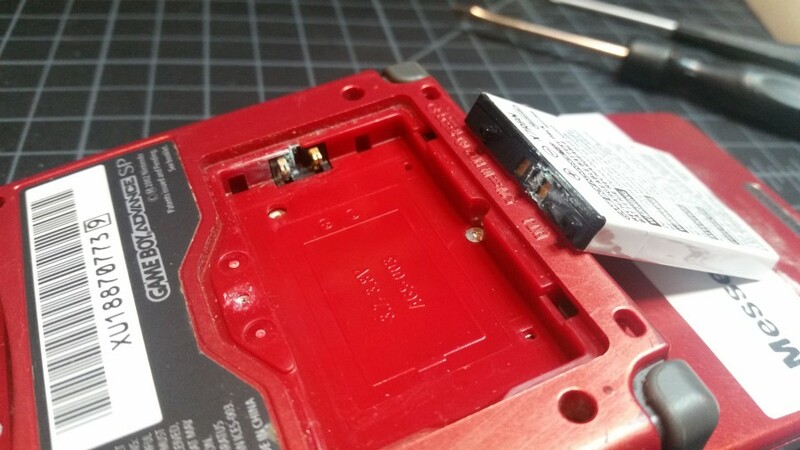 You can get the correct tabbed coin cells from digi-key, but you’ll have to bend the tabs slightly to account for the cell sitting on top of a chip instead of flush with the board. Ta-da! Okay, easy win. 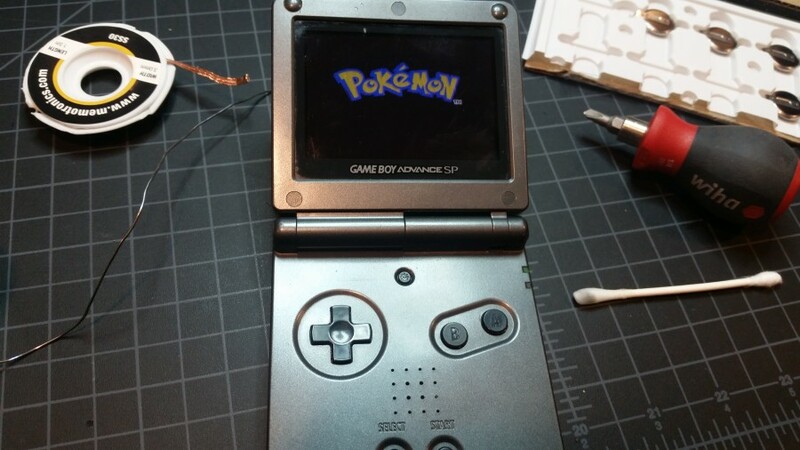 Next up is a GBA SP that my lackey indicates has trouble charging. 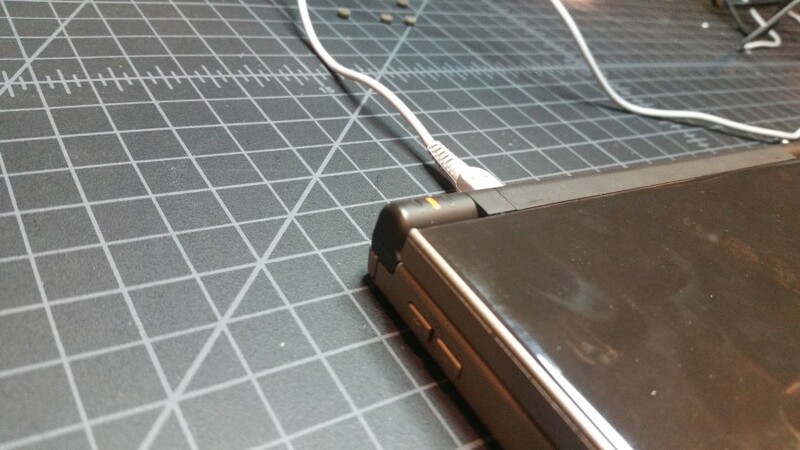 He says that the system charges, but stops charging when you wiggle the cable. Ew. That is just REALLY not a great sign for lithium batteries. 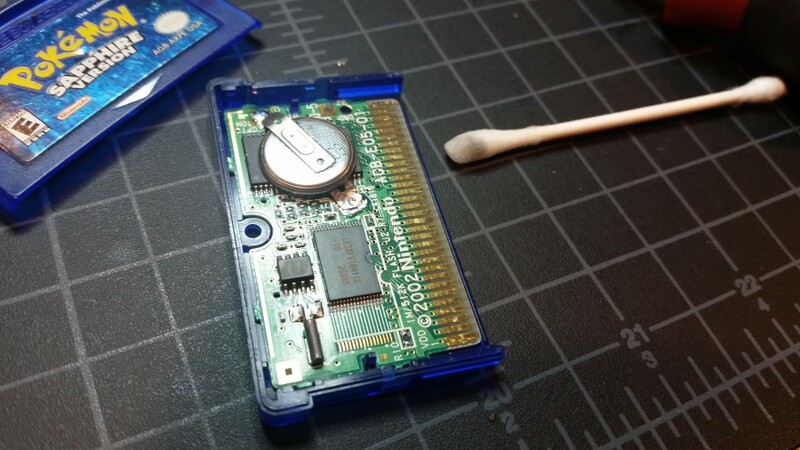 I know that my ultimate problem is likely to be a cold solder joint where the charge connector sits on the board, but I’m not going to proceed with the battery in this sorry shape. 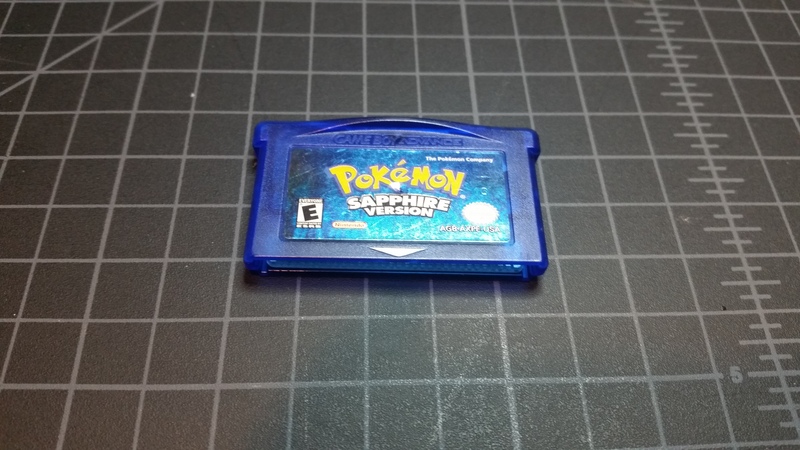 I placed an order for a $2 (including shipping!) battery from Hong Kong, and put the project into a bag with a note stating that it’s waiting for the battery. 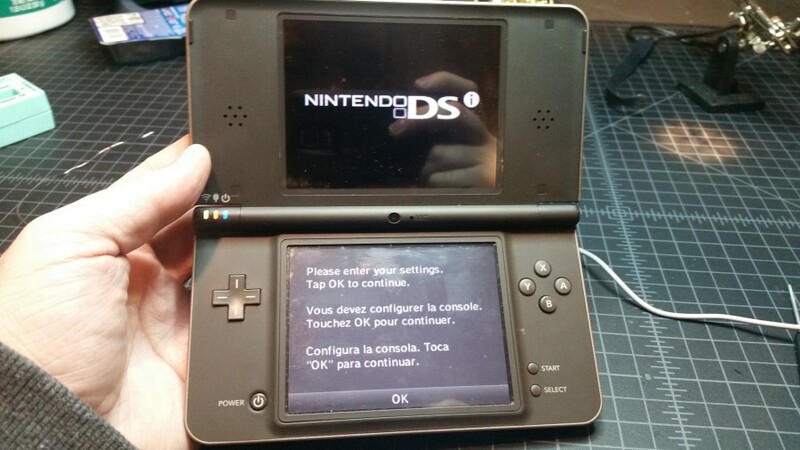 Next up is a Nintendo DSi system that we bought today. My lackey sheepishly told me that he found a problem after the customer was gone. Demonstrating, he powered the system on, then tapped it lightly against the counter, whereupon the power cut off. Now that I’ve gotten it home, I can’t get it to power on or charge at all. I don’t think the lackey can really be blamed here, since it’s not like we’re going to give every piece of electronics a thump test before accepting it. I cleaned the battery and tested, finding that the problem persisted. I removed the battery cover and battery, then nine screws holding the housing together. The housing lifted off easily, but I could see two connectors running from it to the motherboard. Popping those loose, the case came free. 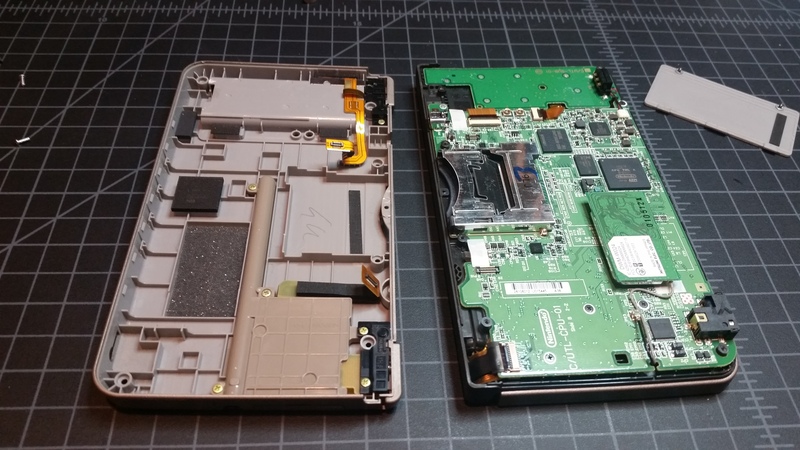 Now, I’m absolutely an amateur at this stuff, but it seems to me that this sort of problem is most likely to be at the place where components connect together, since surface-mounted components on a solid-state board with no moving parts are usually pretty boringly reliable. 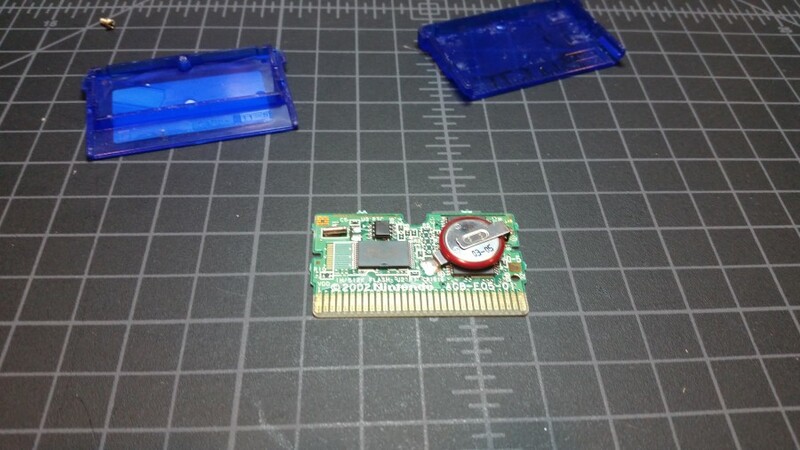 Poking around, it appeared that the battery terminals were on a daughterboard connected to the motherboard by a ribbon cable and power line. Hey, neat! That board also has the directional buttons and the power button. I disconnected the daughterboard and took a good look at it. 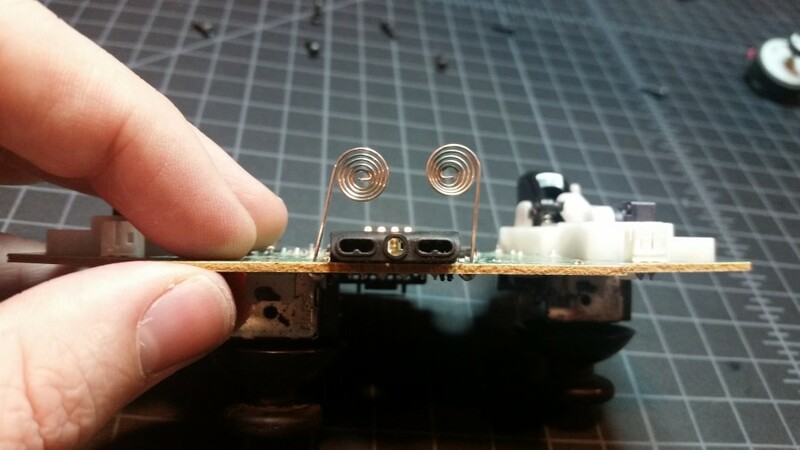 It appeared that all of the power for the whole system originated in those three connections going to the battery terminals, and the two connections going to the motherboard. All five solder joints looked pretty tired. I wondered if one of them had gone cold. 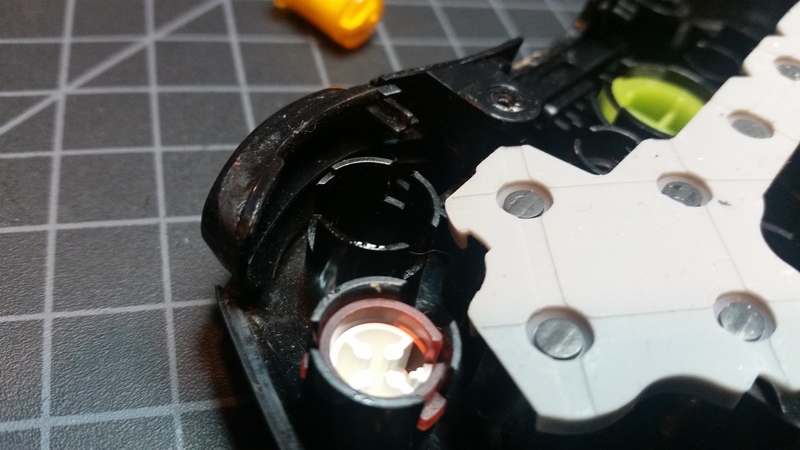 I thought about checking continuity, but decided instead that it would be easier to just replace the joints on all five connections. The way I looked at it, this was as far as I was willing to go for a system that is worth about $55. If this wasn’t the problem, that would mean that there was some other failure on one of the boards, and that falls beyond my current skill level. 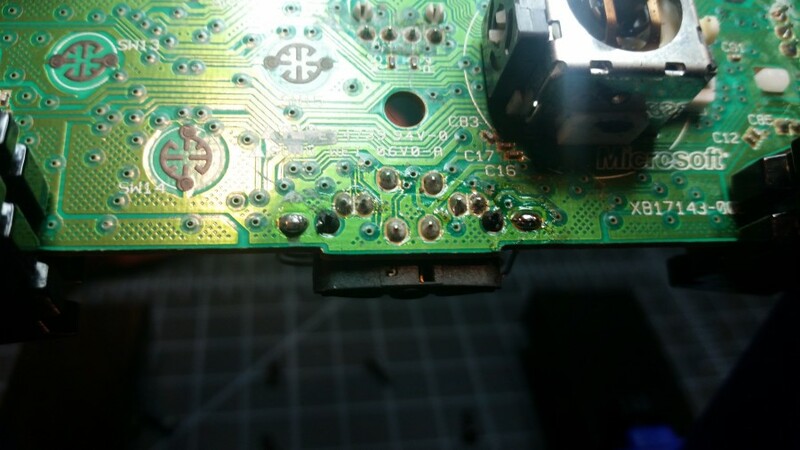 I don’t have shots of the re-soldering because some combination of hurry, fatigue, alcohol, and dealing with a small board caused me to shorten the black wire a little bit. The solution may or may not have involved the tiniest bodge wire I’ve ever been guilty of applying. 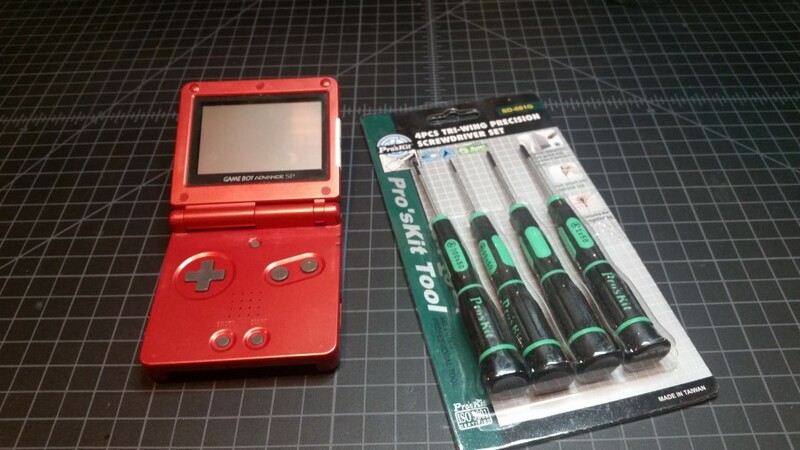 I finished the repair and put everything back together. Hey, it’s charging! My elation was short-lived, because when I powered it on, the screen powered up and then immediately went black. While I pondered this, I remembered that, when a Playstation Portable has a completely dead battery, it won’t boot up without having a few minutes to charge. I guess it requires more amperage on startup than the charger alone can provide. 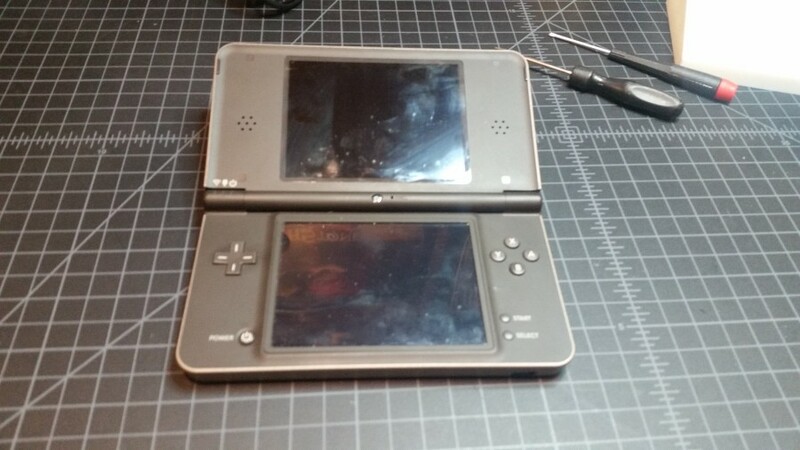 I spent a few minutes cleaning up, then came back to the DSi and tried again. Success! What’s more, no amount of thumping it around seems to cause it any sort of problem. That’s one for the win column! 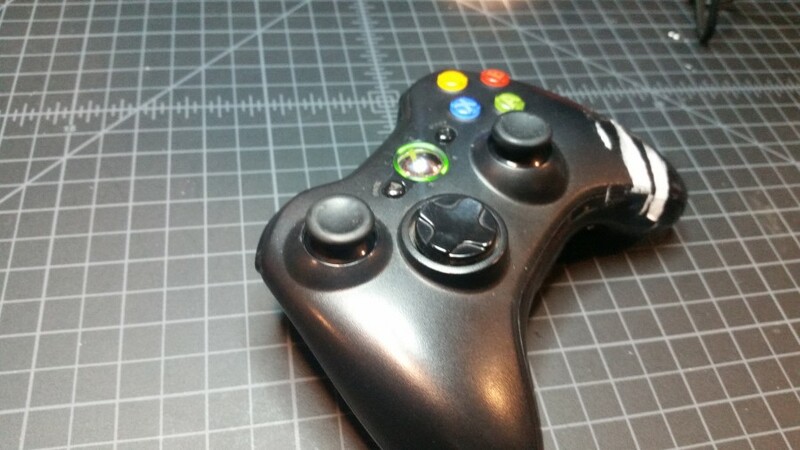 My final bit of work tonight was a controller that didn’t have a note, but did have very sticky, unresponsive buttons. Opening it up and getting it apart, I found sticky residue all over everything. 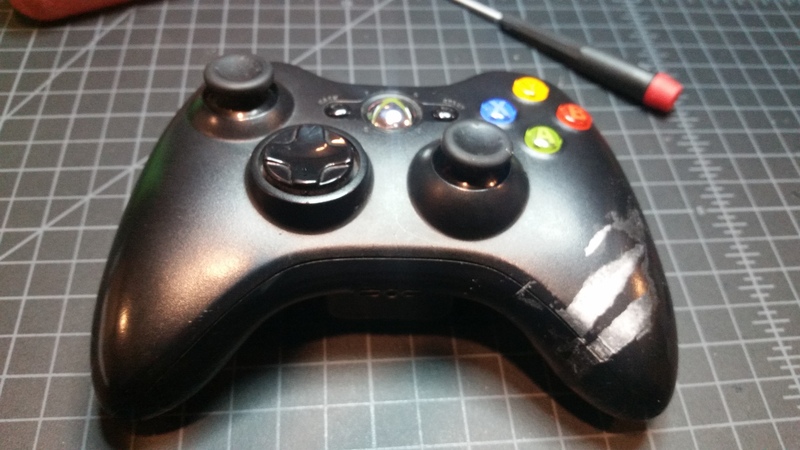 Every bit of this controller was covered in grit. I wonder what sort of stories it would tell if it could speak? Most likely it would say something like, “Please kill me. Every moment that I exist is a brutal agony.” Well, not today, little guy! I completely disassembled the controller and cleaned everything with a damp towel. 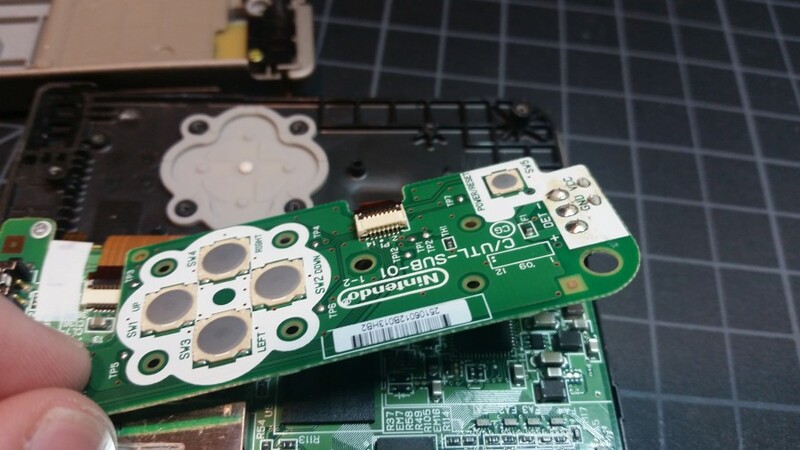 While re-assembling the controller, I noticed that one of the battery terminals is sitting a little derpy. Can you see it? Good to go. By the way, I’ve instructed my employees to stop putting the big price labels on controllers and handhelds. 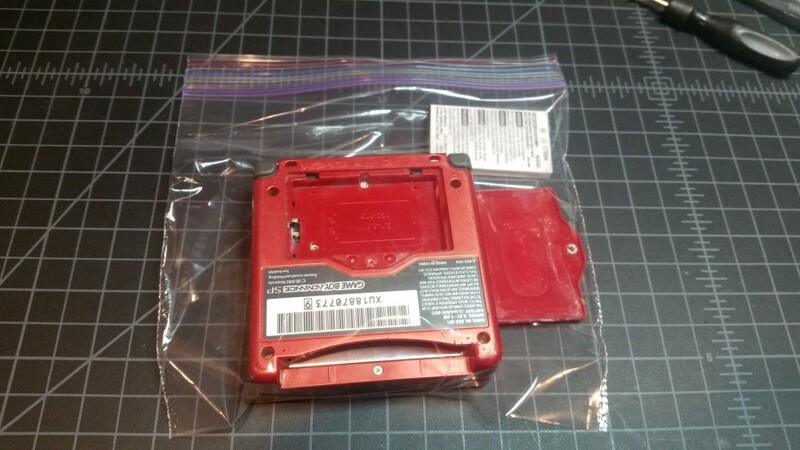 They’re tough to remove, which isn’t a problem for DVD-cased games, but becomes really irritating when you want to clean off a controller for use. We actually got a one-star review for this stuff. I suppose it’s warranted. Kinda. We only sell these controllers for $26, we buy them for between $8 and $11, and we currently have 15 of them in stock. Was this really worth my time? Probably not, assuming I would have been doing anything productive at the time otherwise. But hey, I find the activity soothing, and there’s at least a marginal benefit to my business, so I’ll keep doing it.